This presentation showcases the Army (formerly Defence) Indigenous Development Project (AIDP) (also video) which is part of the Whole of Government Closing the Gap Initiative. The Program is designed to provide the opportunity for selected Indigenous applicants to become work-ready for employment as civilians (public/private sector) or in the Australian Defence Force (ADF). As part of the Program, the selected trainees are required to live in a group environment to facilitate the training. At the end of the Program, the trainees have gained appropriate language, literacy, numeracy (LLN) competencies employability and lifestyle skills to further their careers and transition to the Army Recruit Training Centre Kapooka in NSW for further training. We will also discuss our work on the Regional Education Development Course (REDC). This is an abridged version of the AIDP and is provided to Indigenous Soldiers to develop their English language, literacy and life skills to achieve a Certificate I or Certificate II Foundation Skills (LLN based) so that they can complete future advanced technical military and promotion courses. These programs are delivered by Batchelor Institute through a partnership with the Australian Defence Force that commenced in 2013. Since that time Batchelor Institute has been contracted to deliver both the Army Indigenous Development Program and a Literacy and Numeracy based program for Norforce soldiers. In the past five years over 200 men and women have graduated from Batchelor Institute of Indigenous Tertiary Education in one of these programs. They have been an inspiration to their teachers and mentors and to hundreds of other Aboriginal and Torres Strait Islanders in communities around Australia. Last year Batchelor Institute and the Department Defence won the Northern Territory Training Award for Industry Collaboration. This year Batchelor was humbled to receive the National Employee Award for Army Reservist. 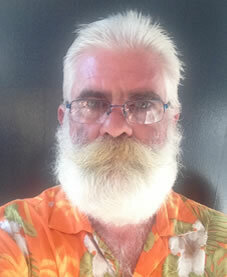 Bruce Garnett is a Numeracy Lecturer within the AIDP and REDC programs. 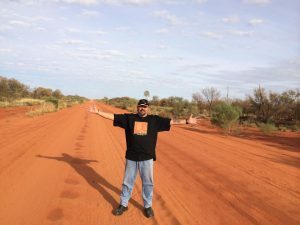 Bruce has been working in Aboriginal and Torres Strait Islander education since moving to the Territory in 1989, working at Kormilda College, Taminmin High School, Batchelor Area School and Batchelor Institute. He started with the then DIDP and RFSU courses in 2015 facilitating Numeracy learning and is passionate about developing his students’ interest and confidence in maths and science. Deidre Knapp is an Aboriginal woman who has been delivering training as a Language and Literacy Lecturer within the AIDP and REDC programs since 2015. Deidre ensures all material is contextualised to meet the specific needs of this cohort as well as providing strong language and cultural support. This presentation will begin with an overview of the key program areas of the Warlpiri Education Training Trust (WETT) and its vision for adult literacy for Warlpiri people. A case study, based on the WETT funded Pina Pina Jarrinjaku adult learning centre will be shared. This will include a description of key outcome areas which are underpinned by a socio/cultural approach to adult LLN, as well as some design principles that could be considered in other communities and contribute to the broader NT LLN strategy. Northern Territory-based Ros Bauer is passionate about implementing programs to support people to develop their LLN skills. Her interests are workforce development, community and personal literacies and Indigenous education and learning. Ros is committed to implementation of approaches which lead to increasing human capital and social capital outcomes. With a Masters of Education and around 20 years’ experience in the field Ros was awarded the ‘Excellence in Language, Literacy and Numeracy Practice Award’ at the 2013 Australian Training Awards. Her work on literacy projects with the Warlpiri Youth Development Aboriginal Corporation (WYDAC) and the Warlpiri-kurlangu patu Jaru College in Yuendumu led to the establishment an adult learning centre in Yuendumu named the Jaru Learning Centre. The Jaru Centre is funded locally by the Warlpiri Education and Training Trust and is managed by the WYDAC (Walpiri Youth Development Corporation). She recently co-authored a paper on the establishment of the Centre highlighting the response of learners to opportunities in locally managed learning spaces. Ros has worked extensively as a consultant, presented at numerous conferences including the VET network, the Australian Council for Educational Research and the Australian Council of Adult Literacy. In 2015 she travelled to Scandinavia on an Australian Executive Fellowship, focusing on adult literacy provision and teacher professional development. Ros is a board member of Adult Learning Australia and other professional networks. Barbara Napanangka Martin has worked all her life as a teacher at the Yuendumu School. She continues to assist at the school’s Bilingual Resource Development Unit (BRDU) as well as working on other community-based cultural projects. She is a skilled Warlpiri to English transcriber and translator and has also engaged with senior women to figure out ways of representing traditional oral stories in written form. There is no comprehensive source of adult English language, literacy and numeracy (LLN) data for the Indigenous population of NT. Other jurisdictions use results from the 2011/12 Programme for the International Assessment of Adult Competencies (PIAAC) survey to understand adult literacy and numeracy competency for their total population. The PIAAC survey did not sample in very remote Australia, or cover populations living in discrete Aboriginal and Torres Strait Islander communities which disproportionately impacts the results for the NT. The implications of this deficit for policy development and socio-economic research are broad. At present there are also no collated statistics on Australian Core Skills Framework (ACSF) for the NT. Assessment of an individual’s competency against the five elements of the ACSF (reading, writing, speaking and listening, learning and numeracy) has been identified as a rich data source on English LLN capability and a worthwhile avenue for pooling consistent information across a number of sources– government and non-government. As an activity of the Strategic Priority Project on Indigenous adult LLN Fiona has been leading a project – collecting and analysing data from multiple sources and sectors – in order to expand the evidence base on levels of LLN in the NT Indigenous adult population as well as areas commonly impacted by low levels of English LLN. Fiona has been working with a small consultative group of co-authors and is pleased to be able to present these findings as an activity associated with implementation of the NT Action Statement on Indigenous adult English LLN. Fiona Shalley is an Honorary Fellow with Charles Darwin University. She is currently researching Indigenous higher education participation and Indigenous adult LLN for the Office of the Pro- Vice Chancellor at CDU, the National Centre for Equity in Higher Education, and the Whole of Community Engagement initiative. Through her long career with the Australian Bureau of Statistics (ABS), Fiona has been committed to enhancing the validity and utility of statistics for and about Aboriginal and Torres Strait Islander people, and to increasing access to these statistics. She moved to the Northern Territory in 2010 to take a leadership role in 2011 Census. The diversity of people, language and country, the complexity of data collection design and activities, and the power of revealing statistical stories has kept her brain and heart alive since her move to the Territory. Her last role in the ABS was as the Director for the National Centre for Aboriginal and Torres Strait Islander Statistics. · provided tertiary workforce capability building and professional development. David will describe the background and implementation of this national approach, focusing particularly on the benefits and value to adults whose literacy and numeracy skills could be improved, and how this approach also caters to indigenous Maori learners and Pasifika learners. David helped develop the latest iteration of the government’s approach. 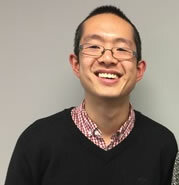 David Do has been Advisor in Adult Literacy and Numeracy since 2012. He led the development of the TEC’s Adult Literacy and Numeracy Implementation Strategy 2015-19 which set directions for the TEC’s future work in this government priority area. Son of a Vietnamese refugee and Chinese migrant, he’s a proud Kiwi born in Auckland. He grew up there to get a Bachelor of Arts (Honours) in Politics from the University of Auckland. David was the Co-President of the New Zealand Union of Students’ Associations 2010-2011 after being Auckland University Students’ Association president in 2008. The Making the Connection project is an Australian government-funded project that is introducing digital technologies into correctional centres to provide access to education. To date, the project has enrolled 800 incarcerated students across 1500 courses in Queensland, Tasmania, Western Australia and the Northern Territory. The project team is now working on a range programs to address issues of numeracy and literacy in a culturally appropriate and age appropriate way. Chris ‘Bandirra’ Lee is a recognised Traditional Owner for the Larrakia peoples of Darwin in the Northern Territory through his Mother’s lineage. He has a long and interesting career in Indigenous affairs including senior management positions in Indigenous media and communications, Indigenous community organisations and the private and public sectors. His career includes over two decades working within the criminal justice system beginning at the Brisbane Youth Detention Centre in the early 1990s. Chris then moved back to Darwin where he worked at the Don Dale Youth Detention Centre engaging with many disenfranchised Aboriginal youth from Darwin and surrounding remote Aboriginal communities. Not long after the announcement of the Royal Commission into Institutional Responses to Child Sexual Abuse, Chris was appointed Aboriginal and Torres Strait Islander Community Engagement Adviser with Knowmore Legal Service, the trauma informed legal, therapeutic and cultural support service for survivors of institutional childhood sexual abuse. Chris joined USQ to design and implement culturally safe, sensitive and appropriate engagement strategies for incarcerated Indigenous students within the Making the Connection project. 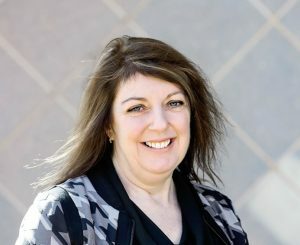 Associate Professor Helen Farley researches within the Digital Life Lab at the University of Southern Queensland. Her research interests include investigating the affordances of emerging digital technologies, including virtual worlds, augmented reality and mobile technologies, in formal and informal learning. She is passionate about digital inclusion and leads the $4.4 million Making the Connection project which introduces digital technologies into prisons to allow prisoners access to digital higher education. The project has attracted some 1500 course enrolments over five states and recently received an Australian Award for University Teaching for Programs that Enhance Learning. Associate Professor Farley has published extensively and is a featured speaker at both educational technology and corrections conferences. This final session of the Indigenous adult English language, literacy and numeracy (LLN) symposium will include a presentation on Collective Impact approaches and their usefulness in relation to the complex area of Indigenous adult English LLN and an exploration of how the Collective Impact model could be applied in the NT. Sue Howard, Manager of the Tasmanian Government’s state-wide LLN program ‘26TEN’ will present on the collective aspects of the work being undertaken in her state using a strength and future focus while drawing on the five conditions inherent in the Collective Impact model. These basic elements are: 1) A common agenda for change, 2) Collection of data and consistent measurement of results, 3) A plan of action, 4) Open and continuous communication, and 5) the support of back bone organisations to service the initiative. After Sue’s presentation facilitated round-table discussions will explore how the Action Statement on Indigenous Adult Language, Literacy and Numeracy in the Northern Territory could be used to inform and drive strategic change using collective approaches. In the Territory we have been working slowly and steadily towards a collective impact model of Indigenous adult LLN. We have been: using data to “light up” the issue (The Statistical Report on Indigenous adult English LLN in the NT); working with Indigenous leadership and a range of ‘specialists’ to increase knowledge and understanding; investigating workable delivery models; and increasing opportunities for consultation between government, non-government and community organisations by organising events such as this Symposium. Sue Howard is Manager of 26TEN. The ten year 26TEN Tasmanian Adult Literacy Strategy (2016-2025) is supported by a ‘Coalition of Interest’ and implemented through LINC Tasmania and community grants. Since the early 1980s Sue has worked in roles related to developing Indigenous leadership and governance capacity of individuals and organisations at Batchelor Institute of Indigenous Tertiary Education (BIITE) and Curtin University. Sue has spent years working with communities across the NT, Western Australia and Cape York Peninsula. In Cape York her work included a Land Use Strategy with Aboriginal and Torres Strait Islander adult learning agencies. In 2009 she was responsible for the establishment of human services on Palm Island. In this work, the focus was on creating a collaborative, enabling environment to support the realisation of individual and community vision. 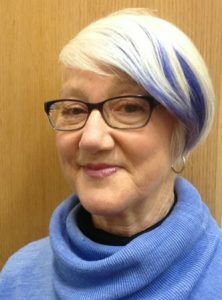 Sue has worked with LINC Tasmania since 2010, developing state wide strategies in community and adult literacy and learning, as well as managing the Burnie LINC and the full range of library services across the North West Coast of Tasmania. An area of special interest has been participating in strategic group processes associated with the ‘Burnie Work Collective Impact’ project.